Social media and the internet make it so easy to have access to the world of horse products. There are more options than ever on the market these days but it can be quite overwhelming to know what to choose and what products really work. Today I wanted to share a few of my favorite things that I currently use for myself, my horses, and that I stand behind 100%! Four years ago my husband and I purchased horse property. We had room for four horses. We owned two and decided to board out the other two spaces. I have owned and cared for horses all my life but boarding was new to me. 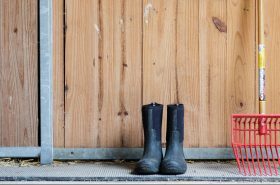 I turned to Sheri Grunska of Pro Barn Management. I quickly purchased her books A Step by Step by Step Guide to Starting and Running a Successful Horse Business and The Total Horse Barn Management Makeover. Sheri has years of boarding experience and breaks down every little detail of the business. I highly recommend her books and blog if you are interested in a horse boarding business. Sheri also offers barn management workshops and consultation through on-site farm visits, phone or Skype conferencing, and email guidance, support, and advice. This handy dandy little gadget is so great for cleaning brushes. You just fill a bucket with soapy water, soak the brushes, scrub them on the Epona scrubber, and rinse. Brushes come out just like new! 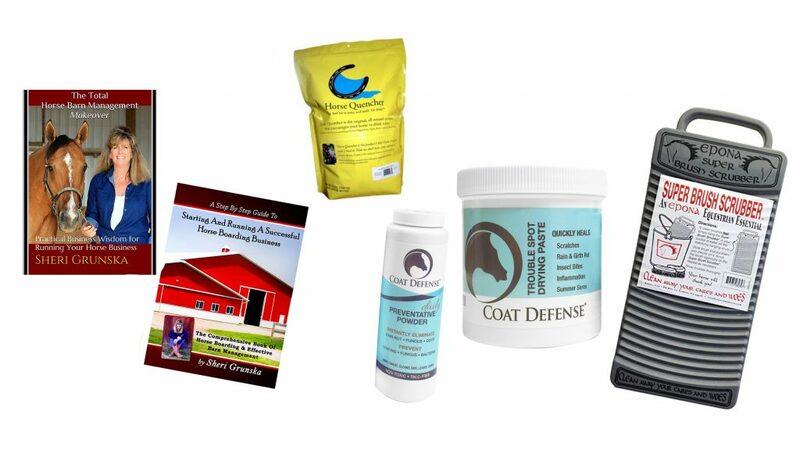 What are some of your favorite horse products? Let us know in the comments below. Erin Gouveia of Silver Oaks Farm is an accomplished equestrian, award winning photographer, and an artist. She was born and raised in San Diego, California, graduated from Colorado State University, and now resides in Park City, Utah on a small ranch with her husband. She has had careers in Medical Research, Zookeeping, and most currently Photographer at Erin Kate Photography.